Samsung's Galaxy phones have recently faced criticism for being too similar to the previous generation. 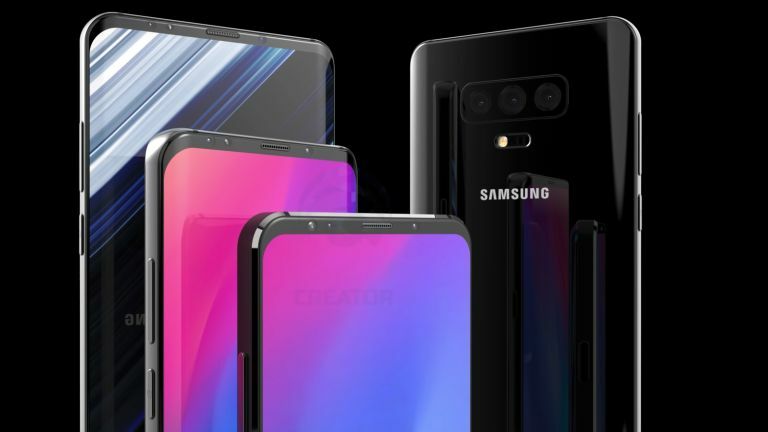 But the brand is in a bullish mood, and is now saying categorically that 2019's Galaxy S10 smartphone will feature "very significant" design changes. That's a statement straight from none other than DJ Koh. He's CEO of Samsung’s mobile division, and he said that to the Chinese press last week. It was subsequently picked up by SamMobile. That news will no doubt please Android fans in general and Samsung phone buyers in particular, as the changes between the Galaxy S8 and Galaxy S9 were fairly small – the S9 arrived with slightly more petite bezels than the S8, although beauty is more than skin deep, and the interior also saw an upgraded chipset and improved camera. Koh's statement confirms the chatter we've been hearing about a radically improved flagship Galaxy smartphone for 2019 after S9 sales, by all accounts, disappointed. Further rumours to date are that the Galaxy S10 will feature an in-screen fingerprint reader, 5G connectivity in at least one version of the phone, an all-new Infinity Display and a triple-lens camera. In fact, it could even feature four – yes, a full quadrilogy of rear cameras. At any rate, Samsung is teasing that for a phone it's set to announce in October. As for your colour choices for the S10? Koh promises they'll be "amazing", but declined to go into further detail at this point. It's not surprising that Samsung is talking up its next generation of phones. As well as promising a significantly changed Galaxy S10, the South Korean manufacturer has given its Galaxy Note 10 a codename that hints that it, too, is going to be reinvented and, of course, there's the radically new Galaxy X folding smartphone waiting in the wings. For one idea of how the new S10 could look, check out the video below which imagines the new smartphone based on leaks, rumours and hopeful wishes.